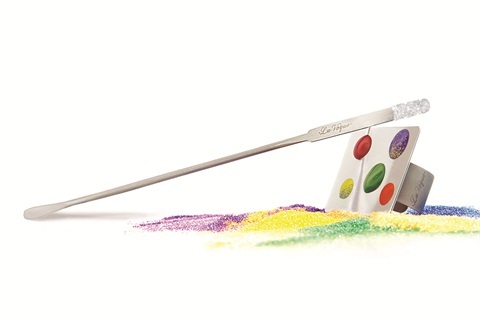 La Vaque’s Thumb Palette and Mini Spatula is a great tool for mixing custom colors. Use the rectangular stainless steel plate that’s connected to an adjustable ring to hold your favorite shades and use the spatula to dispense, scoop, and mix pigments and powders. For more information, visit La Vaque's.